You might have noticed that things are looking a little different on DollfaceBlogs at the mo. I've always created my own layouts using my basic knowledge of HTML and web design which I have been teaching myself since the ripe old age of 14. However, things are a bit more complicated to achieve now and there are lots of things I just can't get my head around. I spent a while trying to create the look I wanted for my blog, but just couldn't quite get the coding and design right, which really began to bug me as it was so close, but still not what I wanted. I decided to have a look around at the vast array of designers and layout Gods that are drifting around the internet and stumbled across the wonderful PipDig. PipDig have a lovely selection of pre-made layout templates for Blogger and Wordpress hosted blogs, that can be used as is, or altered slightly to get the exact look you are after. If you can't find anything already showing on their website, they also offer a custom design service, so you really can get your blog exactly the way you want it. 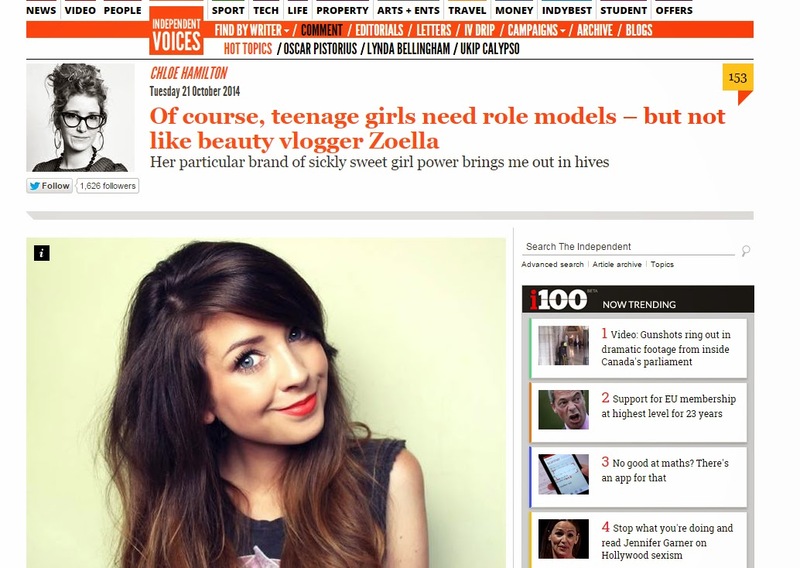 Twitter pretty much exploded today after Independent Voices published an article about how Zoe Sugg, aka Zoella, was not the type of role model teenage girls should have. While I appreciate it is an opinion piece, the article not only angered me for being poorly researched, (as a Journalism graduate, these things bother me. Opinion pieces still need research), but also for that fact it was contradictory, derogatory and offensive. So here's my note to Chloe Hamilton. My first point is going to be, that for an article that states that Zoe is contradicting everything about feminism, it should not have begun with a personal attack on her looks. The article does go on to describe the fact she is open about her anxiety, so why on earth would it then be okay to target her and make inexcusable comments about the way she looks? That is plain bullying and is not acceptable. Is this not also anti-feminist? Should we not be supporting and celebrating a young woman who has embraced the opportunities presented to her and used them to create a better life for herself and the hope to inspire others? So who actually is the anti-feminist here? Zoe, or the journalist who feels a personal attack on another female, just because they don't like what they do, in a publicly aired opinion piece? I was tagged by the gorgeous Samantha from Coco Butter Blog (who, coincidentally, is one of my October advertisers!) to do the Autumn Tag, which I thought was a fab idea! I haven't done a tag for so long, and I love Autumn, so I thought I'd give it a go! 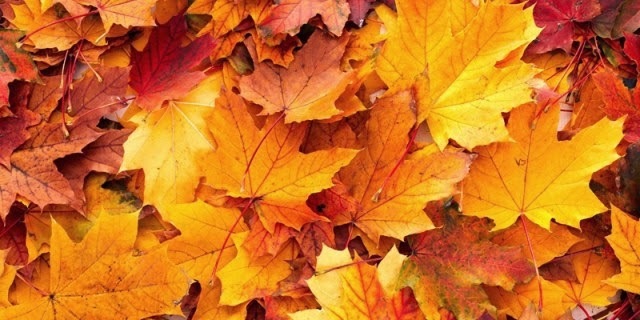 So, here we go with the Autumn Tag! Watch out at the bottom of the post in case I have tagged you! 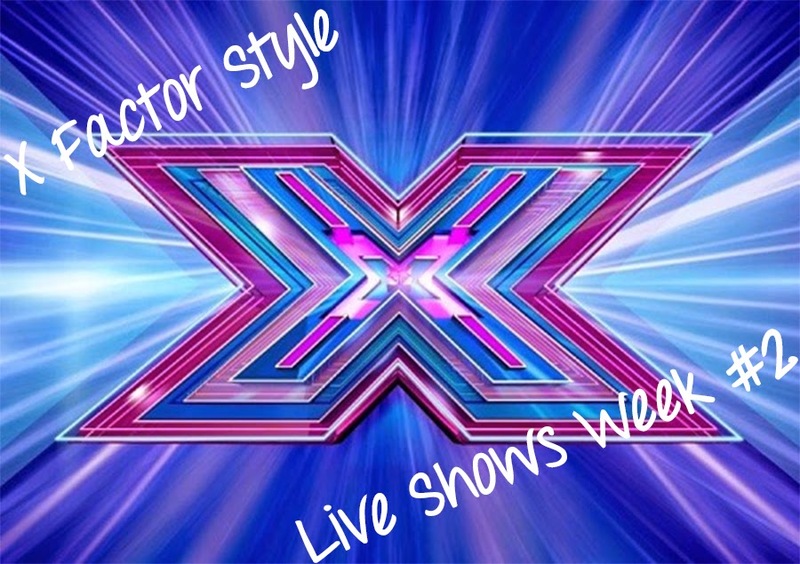 Another weekend done, another week of X Factor finished, so it's time for my style round up of the X Factor live shows - week 2! Did you all watch? Of course you did! Were you shocked by the eliminations, or did you expect it? In my honest opinion, I wasn't expecting Chloe Jasmine to be in the bottom two, but I did think her 'save me' performance was terrible. She deserved to go after that. I think Stereo Kicks are on their last legs as well I'm afraid. There's just too many of them and it's difficult to watch! Anyway, onto what we are actually here to talk about; the fashion! If you missed my style round up from week one, click here to take a look. Makeup Revolution is one of my favourite brands at the moment. Not only are their products extremely affordable and readily available online and in most Superdrug stores, they are also amazing quality. 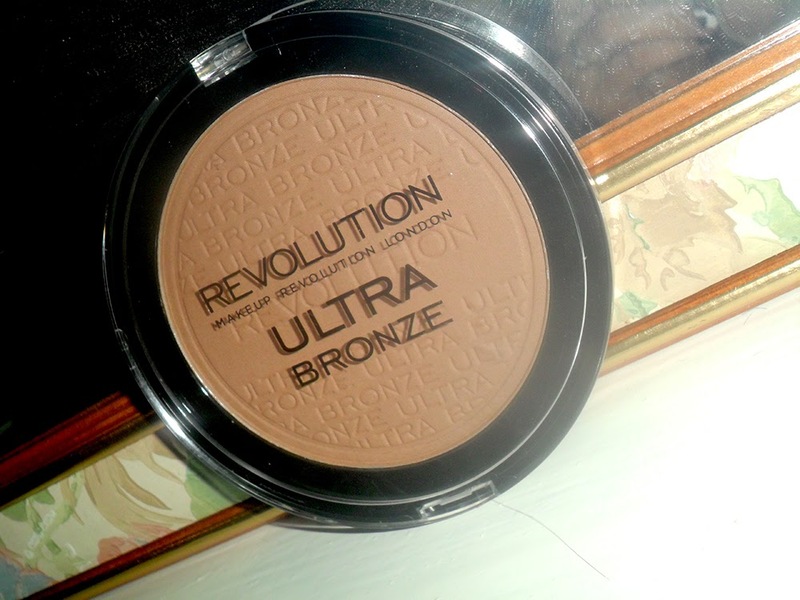 I'm yet to be disappointed by a Makeup Revolution product! 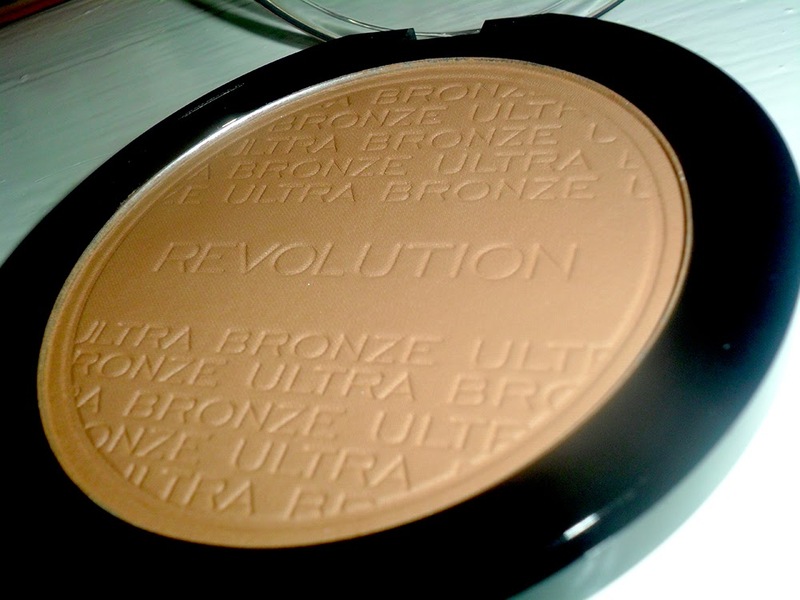 I've reviewed a couple of Makeup Revolution palettes before, but this time I've discovered their Ultra Bronze bronzer and I can't get enough of it so decided to review it for you.